Seniors to Date Canada has plenty of members and lots of communication options, but unless you become a paid member, you won't be able to make the most of the site. Signup is quick and easy, without any long forms or complicated questions. It's a shame that the remainder of the site isn’t that straightforward. There are different pricing plans for men and women, as well as different safety options and member viewing options. Seniors to Date makes it easy to browse through member photos. You can add people to your Favorites list by clicking the star on their full profile, and by opening up each member's full profile, you can see their location, body type, and similar details. It’s disappointing that most women on Seniors to Date haven’t bothered to update their profile with their full details, especially since you can only see one, cropped photo as a male free member (more about that below). Seniors to Date has a ‘Cute or Not?’ tool which shows you one profile image at a time, and you can click the heart or cross to show your reaction. What it doesn’t have is a matchmaking tool. You won’t be matched or shown suggested matches – you have to just browse and click. Seniors to Date offers plenty of ways to get in touch. There are public chat rooms, or you can message users through the platform using regular texts, photo messages, or video messages. You can also use “Winks” and “Flirtcasts” to make a connection with users who catch your eye. A wink is an easy way to link up with another member. Flirtcasts are short messages that you can send to a whole bunch of members at once. Seniors to Date offers pre-set Flirtcast messages, or you can write your own custom text. Finally, there's an option to ‘Promote My Account,' which sends messages and winks to potential matches, and add them to your friends list for you. It's not at all clear how the site chooses potential ‘new friends.’ To use ‘Promote My Account,' you need to add a photo and choose if you want to connect with someone for a long-term relationship, short-term relationship, or just a random meetup. It’s so fast and easy to sign up to Seniors to Date. You begin by creating an account with your email address and a new password. Once you’ve done that, the rest takes just a minute or two. You’ll be asked to upload a photo of yourself. There's no lengthy questionnaire to complete with lots of personal questions, only a set of drop-down options to describe your ethnicity, marital status, body type, and hair color. There is a box for you to write a ‘Personal Status’ of under 140 characters. Seniors to Date claims that this status helps you connect with women, but it didn’t appear on anyone else’s profile. Seniors to Date is confusing because it has different pricing plans for men and women. Men can become free members, which allows you to view a single cropped photo of other members. Free membership for women allows you to see unlimited numbers of photos of other members and to request photos and video. For both men and women, free membership allows you to view public messages in the chat rooms, and to send up to five messages each day, with not more than one to any single member. All subscriptions renew automatically every month. Female users get a choice of 2 upgrades. Chataholic upgrade lets you rank top in the platform's messenger and places you higher in search results. There's also an Extra Security upgrade, to get better encryption, incognito browsing, and auto history cleaning. Female members can also bundle these together into the Premium Dater upgrade to get both benefits for a discounted price. Women who buy an upgrade also get to use the Seniors to Date app. What’s more, the search function is pretty disappointing. You can set the age range and appearance types that you prefer, but judging by the results, you might as well not bother. When searching for women aged 45-55, it displayed profiles of women aged 36-38 and over 60. Many of them also didn't have brown hair and blue eyes as requested. Another issue with Seniors to Date is that it provides a very different set of tools to women members. Female users can view all member photos, and see all of their extended details, just as free users. But men have to subscribe to a paid account to be able to see this same information. Turns out that this is part of the policy – all women can become full members for free, but men must pay for full membership. Seniors to Date seems to have different safety settings for women than for men. Men can choose between three levels of safety, but there’s just one level of safety for women. Women can also buy an Extra Security safety upgrade which gives them better encryption and the option to browse incognito. Seniors to Date does have plenty of safe dating advice, too. It’s easy to block or report someone who makes you feel uncomfortable. It’s not clear whether Seniors to Date actually throws anyone off the platform if you make a complaint, but they do promise to remove any offensive content. 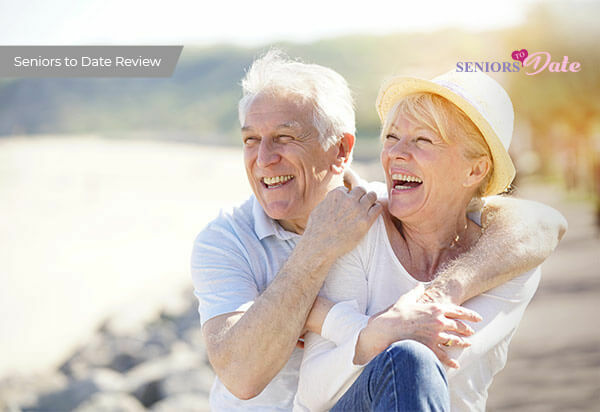 Seniors to Date has a useful knowledge base, although it takes some time to find it. You can also access customer support through the online web form, which is not manned 24/7. Is Seniors to Date Right for Me? If you're looking for a dating platform where you can browse profiles at your leisure, Seniors to Date could be great for you. It's fast and easy to sign up, and you won't have to spend time on any long and complicated questionnaires, which is ideal for casual daters and people who are just looking for some companionship. But if you're searching for true love and want help finding the right match, Seniors to Date is not for you. There are no matchmaking tools, and if you're a man, you’ll have to pay to see all of a woman’s photos, so it’s probably a better choice for women than for men.